The Raptor® SD is a residential zero-turn perfect for bigger yards. 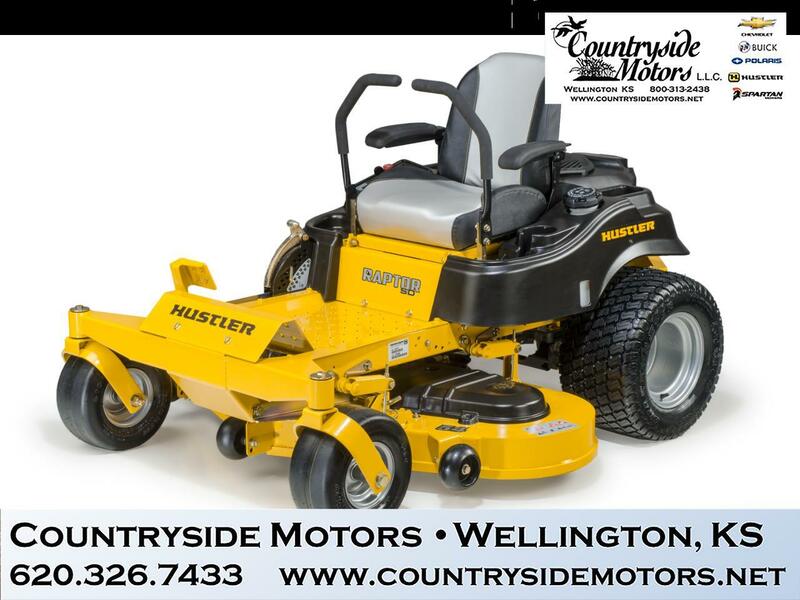 It features deep, heavy-duty welded-steel decks and large 20” drive tires for a smooth ride across various turf conditions and rugged terrain. Highlights: 23 HP Kawasaki, 54” heavy-duty, welded steel decks, Heavy-duty fabricated frame, Exclusive SmoothTrak™ steering, Patented automatic park brake, Adjustable premium seat with armrests, 13” front and 20” drive tires, Powerful engine options, Hour meter and engine guard standard. Message: Thought you might be interested in this 2019 Hustler Raptor.